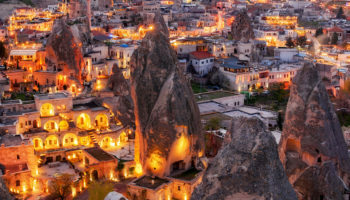 Steeped in history with a landscape that encompasses beaches and soaring mountains, Turkey has acted as the gateway between Europe and Asia for thousands of years. Being a place of trade and of exchanging cultures has made Turkey a richly diverse country. The point where East meets West, the wealth of culture and breadth of influences has left its mark and is revealed in the country’s mouthwatering culinary landscape, as well as in the innumerable religious monuments and archaeological sites. Turkey’s capital city, Ankara, is a sprawling, modern city home to government buildings, commercial businesses, universities and foreign embassies. Located right in the center of the country and the Anatolia region, Ankara is an important transportation hub, linking travelers to other major destinations in Turkey. The city itself city offers a lively arts and culture scene with a large concentration of museums, including the Museum of Anatolian Civilizations. Perched on a strategic hilltop overlooking the plains of Mesopotamia in southeastern Turkey, Mardin is the capital of the Mardin Province. One of the oldest settlements in the region, Mardin is best known for its cultural diversity and Old City of sandstone buildings that cascade down the hill. Mardin’s Old City is easily toured by walking. The maze of meandering streets leads visitors along terraced houses and popular sites like Deyrü’z-Zafaran Monastery, one of the oldest monasteries in the world, and the Sultan Isa Medresesi, a medieval monument that once served as an astronomical observatory. One of the oldest cities in the world and best known for its remarkable Seljuk architecture and Whirling Dervishes, Konya is a large city in Turkey’s Central Anatolia Region. In the 12th and 13th centuries, Konya prospered as a capital city under the rule of the Seljuk Dynasty. Today, buildings from that era can still be admired such as the Alaeddin Mosque and the ruins of the Seljuk Palace. Konya was also the home of the Persian theologian and Sufi mystic, Rumi. His mausoleum is a must-see site in Konya. Rumi’s followers founded the Mevlevi Order, better known as the Whirling Dervishes due to their religious ceremonies in which they spin around and around on the left foot while wearing white, billowing gowns. 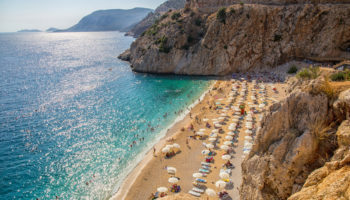 Nestled along the beautiful Turkish Riviera on the Mediterranean coastline, Antalya is a large, vibrant city welcoming tourists with numerous resorts, hotels, bars and restaurants. Spectacular scenery frames the city with gorgeous beaches and lush green mountains dotted with ancient ruins. From swimming and sailing to mountain climbing, sightseeing and family fun, Antalya offers something for everyone. A walk around Kaleiçi, the Old Quarter, offers a step back into the city’s ancient past with views of the old city walls, Roman gates, maze-like streets and historic structures that include the Clock Tower. A major port in ancient Pamphylia and occupied by Alexander the Great in 4th century BC, Side today is a picturesque town of classic ruins and modern day resorts overlooking sandy white beaches. Located on a small peninsula, Side offers fantastic sightseeing, dining and nightlife. Its star attraction is an excavated site of ancient Hellenistic and Roman ruins that include the remnants of a colossal amphitheater and various temples. Featuring narrow streets and attractive gardens, the charming town of Side offers many restaurants ranging from delis and pizza shops to upscale dining in a variety of cuisines. Located in the southern Aegean region of Turkey, Bodrum was once home to the Mausoleum, one of the Seven Wonders of the Ancient World. Today, its intriguing ruins, stunning beaches and cliff-top resorts attract people from all over the world. No visit to Bodrum would be complete without seeing the Castle of St. Peter, also known as Bodrum Castle. Built from 1402 by the Knights Hospitaller it now operates as a museum. 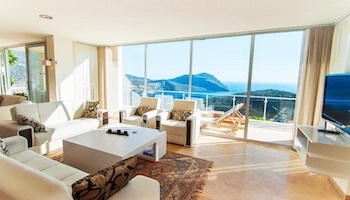 On Bodrum’s eastern side, tourists will find a beautiful beach overlooking brilliant blue water. Near the beach are plenty of cafes, bars and nightclubs. On the western side of town is the marina, shopping centers and restaurants. Europe’s most complete classical metropolis, Ephesus is an ancient site located in Aegean Turkey. 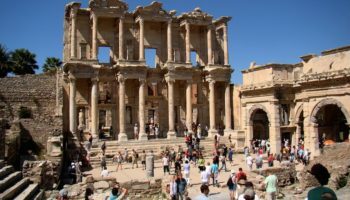 By the 1st century BC, Ephesus was one of the largest cities in all of the Roman Empire, boasting one of the Seven Wonders of the Ancient World, the Temple of Artemis. The ruins of Ephesus are well preserved and contained within a large archaeological site, making it one of Turkey’s most popular tourist attractions. 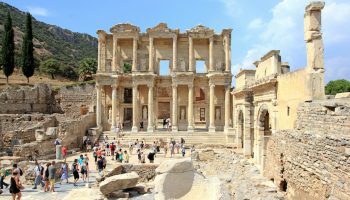 Its attractions include the massive Theater, the Temple of Hadrian and the magnificent Celsus Library, a two-story structure that was built to house more than 12,000 scrolls. Which destination do you consider the best place to visit in Turkey? I visited Turkey last year and i must say i was impressed greatly! If you want a bit of everything on a trip then dont miss this place. Can somebody advise where to go in turkey for 5 days.? If you have 5 days in Istanbul , thats just nice to see it alone . Stay near the Grand Bazaar entrance, which is very near to the tram station of Beyjezit. 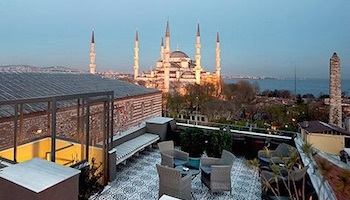 you can walk to the Grand Bazaar, Blue Mosque, Hagia Sophia, Topkapi palace . and Citedel Basalica. Take a tram to Eminonu , where the Spice market and famous Fish restaurants, and then take the Bosphorus Cruise from there. 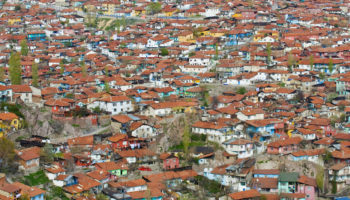 On the third day take a City bus ride to see the outskirts of Istanbul. On 4th day you can go back to see more of what you havent covered the first three days. Nice list, Side is definitely amazing. Visiting ancient sites in Kas is something travellers shouldnt miss. 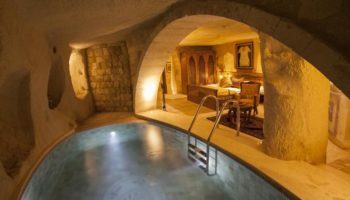 I can’t believe you missed out Pamukkale! That place looks incredible! Other than that, great list! I can’t wait to explore more of Turkey. I think,Istanbul is the best to travel,however,Ankara is also awesome place. I cannot believe that you mentioned Ankara in the list. There should be Bursa which has 7 sites (5 Ottoman sultan complexes, Ottoman bazaar and Cumalıkızık Ottoman Village) in Unesco World Heritage list. The city is only 90 minutes by ferry from Istanbul. I highly recommend. Don’t make a mistake and never go to Ankara. One of the worst cities in Turkey. I know because I live in Turkey and I lived in Ankara. 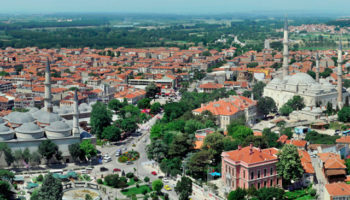 in addition to: For the ones who are interested in history, Edirne is wonderful to see. Turkey rocks. Its an amazing destination with a lot of beautiful n mesmerizing sights. Pammukale, Izmir, Uzungöl n safran bolu, Amasra, çanakale should b added to this list if u have time. Moreover u can skip Ankara. Antalya is definitely one of the best places. When I was a kid, I went there with my family for three days, the beach was sooo awesome! I like Ankara, Istanbul, and Antalya. But I really love Ephesus because I really like Greek mythology and historical cities. Black Sea would be the hidden Gem!! From amazing mountains to the Black Sea it has so much for all to see. I’m suprised you skipped Gaziantep. Gaziantep has the most beatiful Turkish cuisine. You have to taste beyran, kebab, baklava, kadayıf.. In addition, I strongly recommend you to see the ancient city of Zeugma . There are many wonderful muesums and castlle in Gaziantep. I must say that Gaziantep has the biggest zoo. Turkey has a lot to offer for those who wants to see mixture of cultures, tradition and history. I have been to half of the places mentioned above and each place has its unique history and taste to it. Actually i am planning to move to live in Izmir with my family in less than a month time. We are so excited about this venture, and look forward to get more of Turkey in next few years. You must go to Rize too.